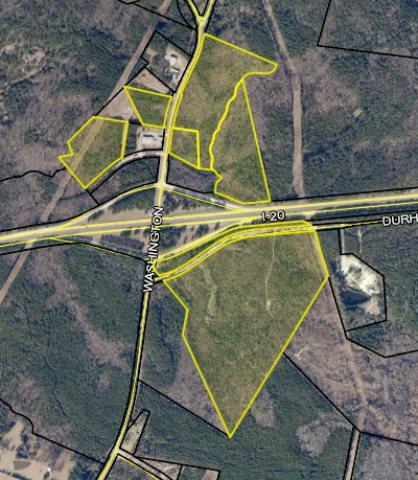 Five tract of land located around I-20 Camak exit, fronting on Hwy 80 and Durham Rd. Total acreage is approximately 125 acres. Tract sizes: 67 acres @ $6,00 per acre, 16 acres @ $4,000 per acre, 11 acres @ $8,000 per acre, 37 acres @ $7,000 per acre, 4.61 acres at $10,000 per acre. Individual tracts can be purchased separately.